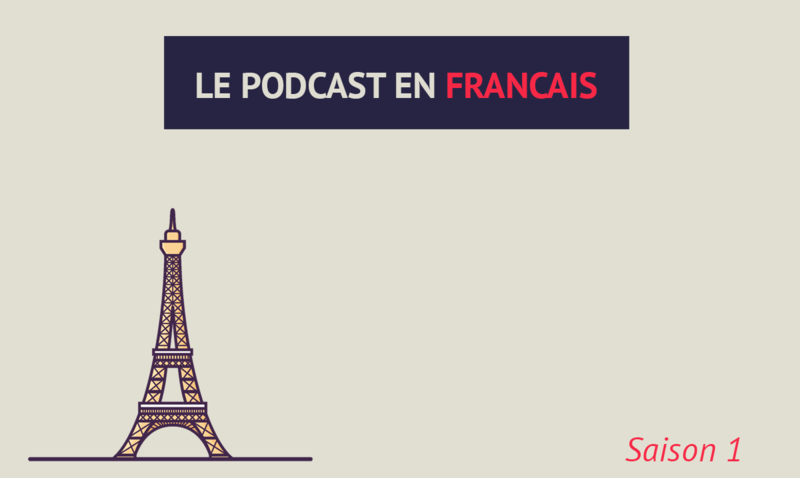 New French Podcast: Out Now! Yes, you read that right. After months of lengthy preparation, the 26 episodes of the full first season is finally here! I have heard your requests, your feedback, and all your frustrations in learning French especially for advanced learners. It is difficult to look for suitable learning materials for your level. That is precisely the reason why this all new Talk in French advanced level podcast is created. The podcast is perfect for advanced learners or at least B2 (Upper Intermediate) to C1 (Advanced) and C2 (Proficient) in the Common European Framework of Reference (CEFR). So if you plan to pass DELF B2 and above, this podcast is probably one of the best tools you can use to practice your listening comprehension and increase your vocabulary. Compared with existing podcasts from other competitors, this new Talk in French podcast is more advanced. In each episode, I work with Katie, my British female co-host. She raises questions from the perspective of a French language learner and we talk about a variety of topics such as language, food, cultural differences, humour, literature, love, children, and a whole lot more. Aside from the various topics, every episode also comes with a grammar section which focuses on the main issues faced by advanced learners. Some episodes also discuss several useful French expressions. 3 Hemingway, un Américain fou de Paris Hemingway, an American crazy about Paris Il y a / il y The use of "il y a and "il y"
16 La discrimination par l'accent Part 2 How people can be discriminated by their local accent Part 2 to care about something How to express the idea of " to care about something"
18 Le coq et le cocu français The French and their relationship with cheating Le genre des mots Masculine and Feminine Words: how to know which is which? 25 Ambiancer, arty, spin-off, émoticône... Le Petit Larousse accepte 150 nouveaux mots Discover some new and recently added French words Le Causatif The causative: How to express the idea to delegate the task to somebody. 26 Les 12 fautes de français qui vous énervent le plus The 12 most annoying French mistakes made by the French themselves to care about something How to say the word "malgré" (in spite of). As I have previously mentioned, the podcast is not really for everyone. But if you are an advanced level French learner who is serious in mastering the language, the podcast would be a great way to practice your listening skills and train your ears through real French conversations. But if you are not yet at this level: don’t worry. Soon enough I will come up with something that is perfect for your level, too. Each podcast episode is about 30 minutes on average. The total duration of the whole season would be more or less 14 hours in length. The Podcast notes and transcription are a hefty 1,000 pages—to give you full access to review the grammar lessons, vocabulary, plus a way to follow the conversations in its entirety. You can access the complete podcast—all the MP3 and podcast notes (vocabulary + grammar + transcription)—directly at a highly competitive, great value. Whether you want to learn French at home on your computer with the transcript in front of you or listen to it on the go—the choice is yours. How much does the whole podcast subscription cost? The entire 26 episodes (27 in total including episode 0) plus the transcripts would only cost you US$49. Compare that with other similar podcasts which are offered at US$100 or even more. There’s something HUGE that comes with this announcement. As usual, just like when I launched other products before, I offer a massive discount during launch week. 29 US dollars! That’s an amazing discount of 20 dollars slashed off from the regular price. But you need to act immediately because this offer won’t stick around forever (it’s super limited) and won’t ever be repeated ever again in the future. So get it during launch week and I promise you, it will be really worth your money.